#StayWild Tip: Find a creepy crawly. Be gentle, get as close as you can, and watch how it moves. On my lunchtime walk today it took an effort of will to get past the end of the street. There is a stone wall with a huge cushion of white-flowered shrub spilling over the top of it, and today it was literally buzzing with activity. I have never seen such a busy and concentrated meeting of bees, wasps and flies. As I stood watching, a man clambered out of a hole in the ground. I hadn’t even noticed the BT engineer who was working below the pavement further ahead. He was curious to know why I was staring at the bush, and he sidled over to have a look. “Are you a naturalist?”, he asked. I said I was into a little bit of everything. “I do like bees”, he said, “but I don’t like slugs.” Then he said cheerio and went back to his van to make a phone call. I admit to also liking bees more than slugs, but I like slugs too. Especially large black ones that often appear amongst grasses in the early evening. Bees, though, hold a special place in many people’s hearts, and are the “poster boys” of insect conservation. Everybody knows about the plight of the furry, cuddly, industrious bees, but I wonder if anyone would bemoan the loss of the slow sticky slugs? 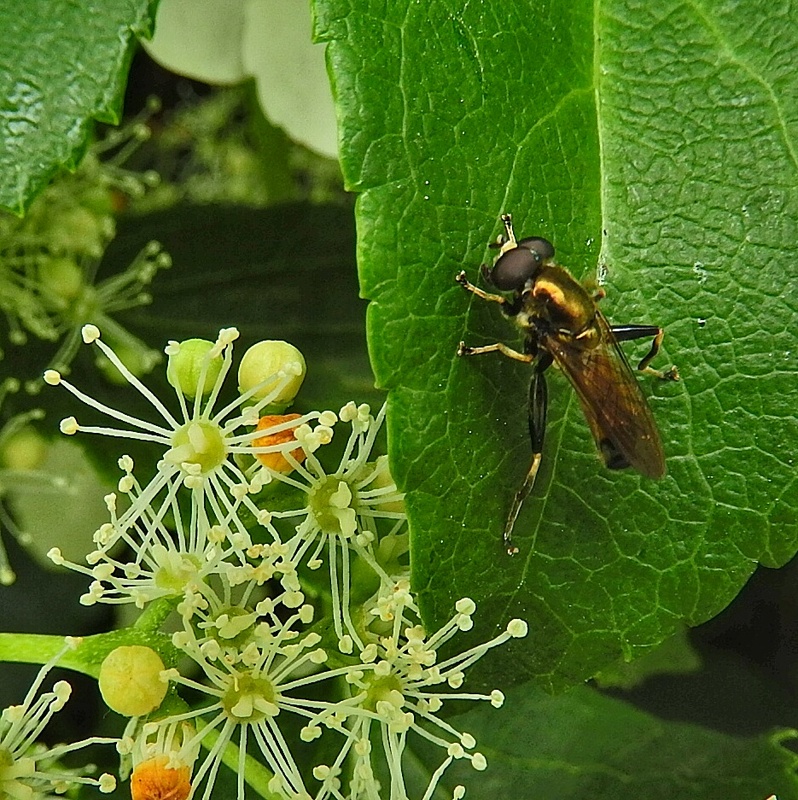 Back to the busy bush – I saw this little fly hovering on the shrub. It looked like it was wearing capri pants, or trousers that were a little too short. I couldn’t find it in my Insects field guide. I also followed this very small bee. 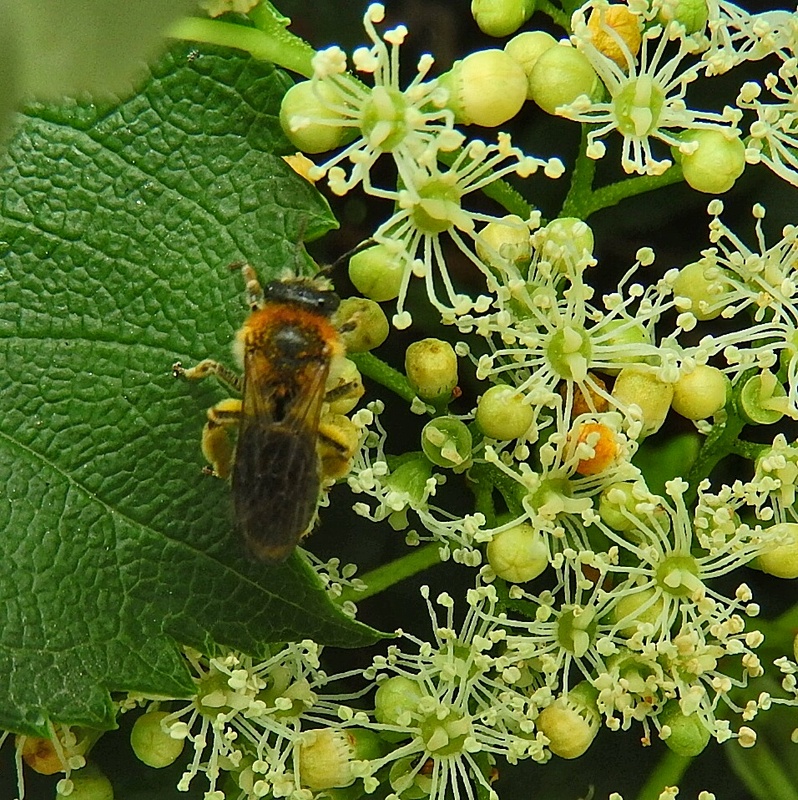 It was very heavily laden with pollen, which it would brush from its body and front legs towards the rear, and was fascinating to watch. I eventually carried on with my walk along Invertrossachs Road. 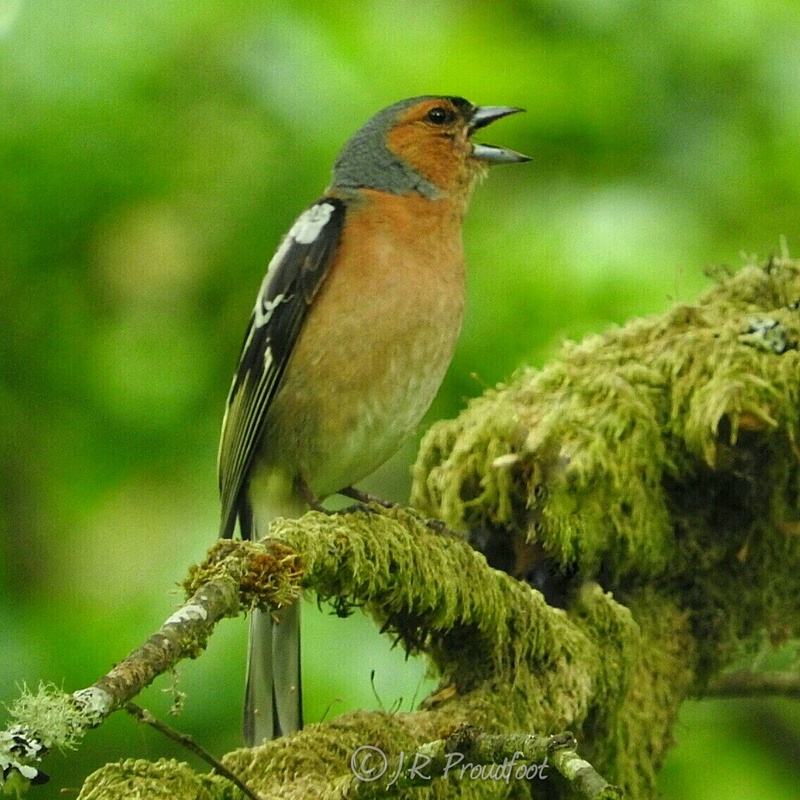 This chaffinch sat by the side of the path, oblivious to my presence and singing his little heart out. There were also some fledglings higher up in the oak canopy. I could hear them but couldn’t make it what they were. 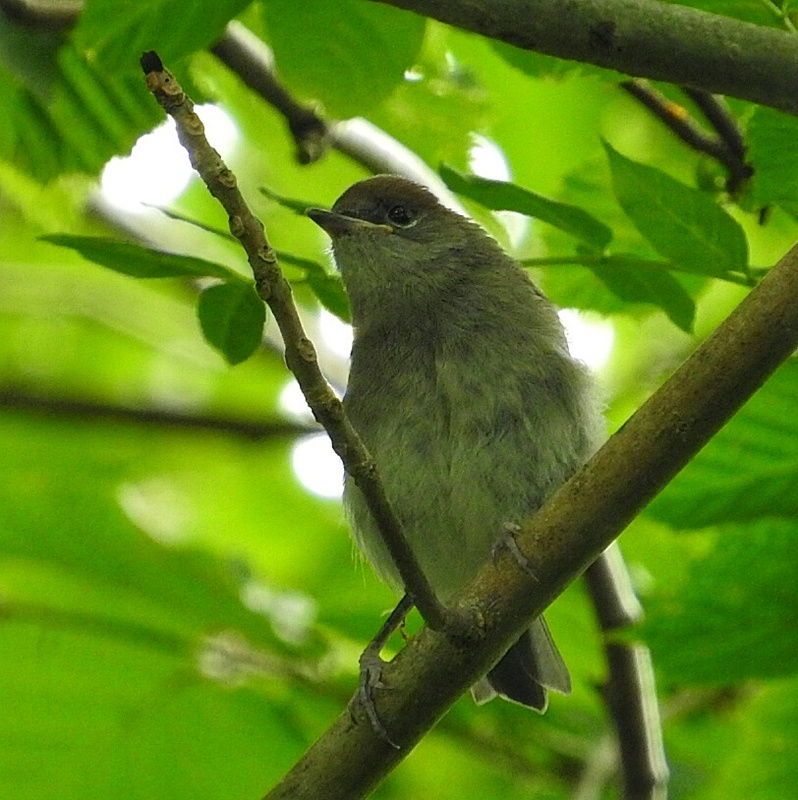 The one photograph I managed shows a rather ambiguous, grumpy-looking juvenile that I suspect may be a whitethroat. Add I was about to turn and start walking back, I spotted a rusty old barrel behind a dry-stone wall. It was sitting in sunshine and was simply begging to be lifted up for me to examine underneath. Perhaps a snake or slowworm would be enjoying the warmth? 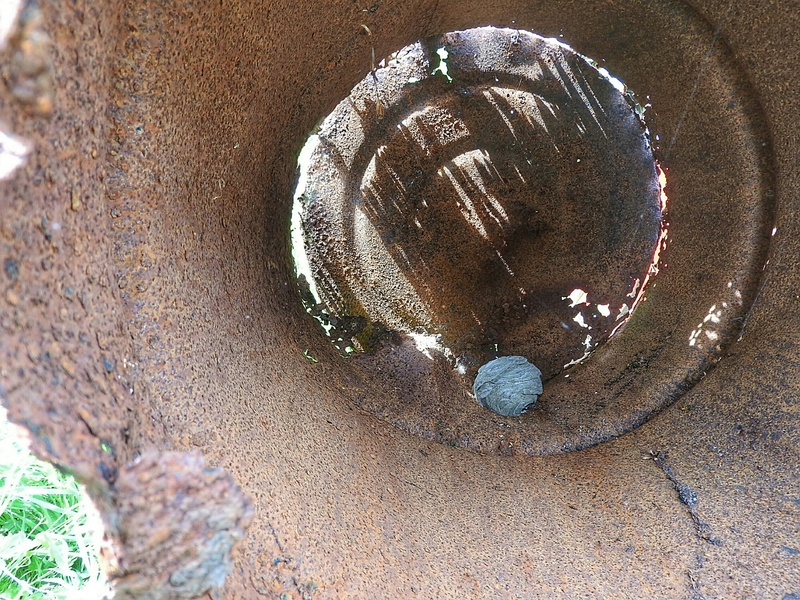 I rolled the barrel, and the inside of it began buzzing loudly. I backed off quickly and a small squadron of wasps began zipping around. 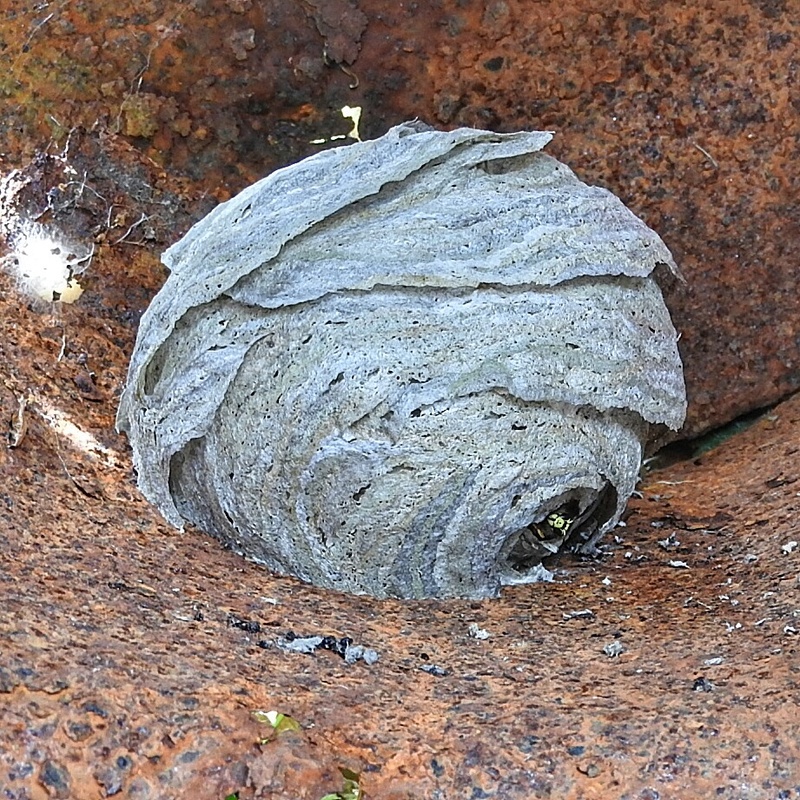 I’ve annoyed my share of wasp nests as a child and had my share of stings, so I didn’t relish annoying this hive any further. I took a couple of photos, then left them to their patrols. Quite enough buzzing around for one day!